For princesses and princes. For sweet dreams. Box-shaped with a frame out of bamboo. Base: 31.5inch (80cm). 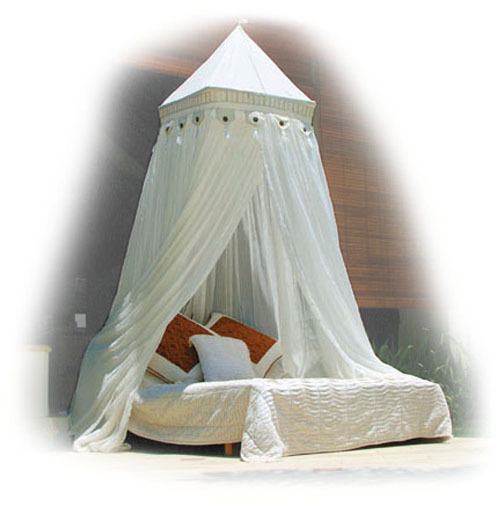 Suitable for beds up to 78.74×62.99inch(200×160cm). Height of the curtains, approx 98.43inch (250cm). Height of the roof, approx 27.56inch (70cm). Square80 hangs on one point and has four courtains, which overlap in the middle by about 7.87inch (20cm). The delivery contains the bamboo frame which fixes the form and four chords for the curtains.